Who needs a calorie crammed cocktail when you can have a head turning cocktail ring? I’ve always been amazed at how much drama a fabulous ring can add to a look, which is why, above every other accessory, a statement ring is always my go-to jewelry item. The right ring can pack a serious punch. Whether you're reaching across the restaurant table on a first date or serving dinner for a house full of guests, there's always an opportunity to catch someone's eye and remind them, "Hey, I have style." Below are a few must-haves I’m currently coveting. Check out some of my favorite past RING MOMENTS here. These are all beautiful! I am especially loving the first one! These are all so pretty! I really want to start wearing rings! Wow! I could not decide which one to choose! Great collection! Great picks - these are all so cute! I love a good statement cocktail ring! Loving all these rings! The crystal snowflake ring is fab! 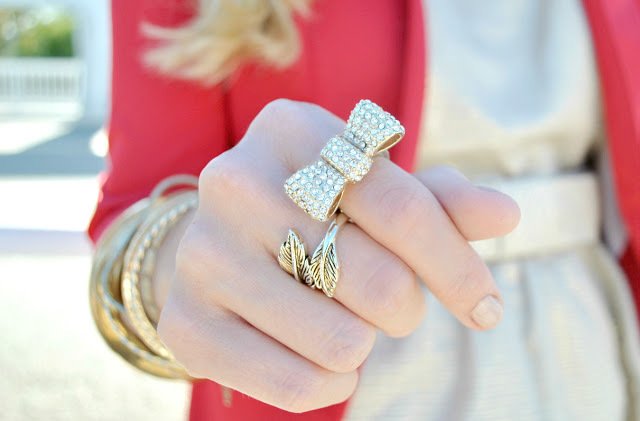 Gorgeous rings.. but I have to say your bow ring wins as the best one! My favorite go to ring is my snake ring I bought from Chloe and Isabel! I used to wear statement rings all the time, but don't so much anymore. Now I miss it! Ahh I am in TOTAL agreement with you - statement rings are definitely my favorite piece of jewelry. They had such a punch of style and always make me feel more confident for some reason. Love all your picks - especially that top row! Interesting post! Love all of these rings! Beautiful rings . So much thanks for this on public . Like it . The academy awards nomination 2019 polls and predictions finally did. 24 different category awards and the 91st Academy awards nomination has been announced successfully and awaiting the red carpet for the choosing the winners in the official function. The UP Board class 12th result will be announced for both regular and private students on the same day. Students are suggested to be in touch with the official website so that they can get all the UP Board 12th Class Result 2019.